If you have any questions please get in touch via facebook, email or phone. Parking: An underground car park is available on Wolverhampton Street, Dudley. 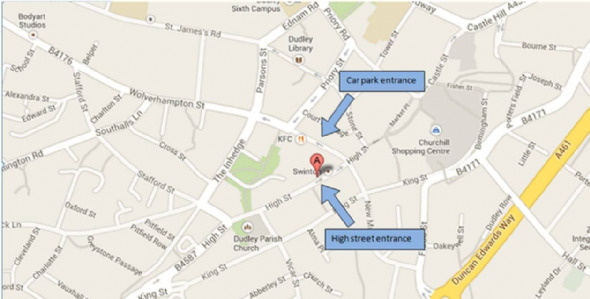 This car park has access to the Trident Centre where we are located. Parking is also available on the High Street. Map: Click the map for directions to us!